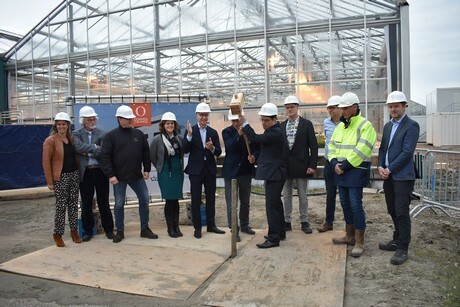 "World’s largest laboratory for flower research"
Yesterday the first pile of the Breeding Technology Center (BTC) of Dümmen Orange was ceremonially struck into the ground in the presence of the mayor of Westland, vice-president of major shareholder BC Partners, board, employees, construction partners and the press. This new center will centralize all technical facilities in the area of breeding and selection. It will be world’s largest laboratory for flower research and is slated to be finished in 11 months from now. Hans van den Heuvel welcomes everyone. 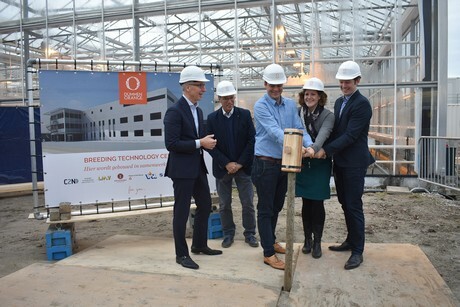 The new laboratory enables Dümmen Orange to make the step from classical breeding to technical breeding. 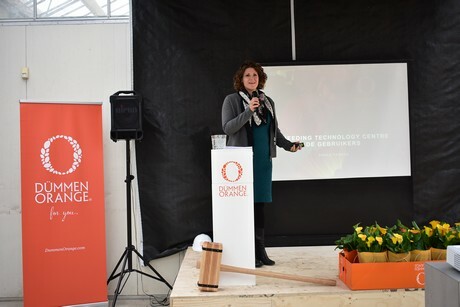 By means of new techniques they want to introduce varieties more quickly to the market, to make them more resistant and to give them a longer shelf life, says Tosca Ferber, Research Director at Dümmen Orange. In order to achieve this, the laboratory will offer facilities for research in the fields of phytopathology, genetics, genomics, tissue culture, cel biology, plant physiology and diagnostics. Currently all these activities are spread out over the world, with the focus often on one (or a part) of these activities. "The marking of traits, for example, breeders often did in addition to their breeding work, and now we instead have people who were specifically educated to do this," says Ferber. Because the various specialists and specialisms now work together on one project, Ferber expects that more results will be achieved. Ferber herself has a background in vegetable breeding and sees that there are big steps to be taken in the floriculture sector. "Due to the complex DNA of many ornamental plants, marker-controlled breeding was not yet possible, but with new techniques the DNA sequence is now accessible. Now that all the 'puzzle pieces' of complex DNA can be viewed, the DNA of floriculture products is of course also eligible for this." 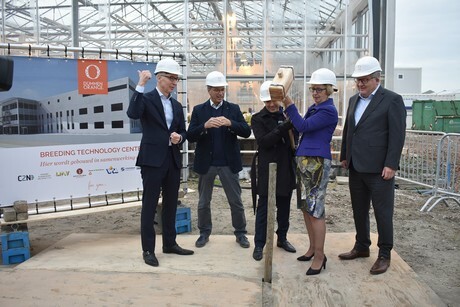 The building will be at the heart of the Dümmen Orange company in De Lier, the Netherlands, will have three floors and a total floor area of 4,000 m², says Kees Hertogh, Project Manager BTC at Dümmen Orange. "It will be the largest laboratory for flower research in the world. Future growth is taken into account, and there will be room to expand in all departments." 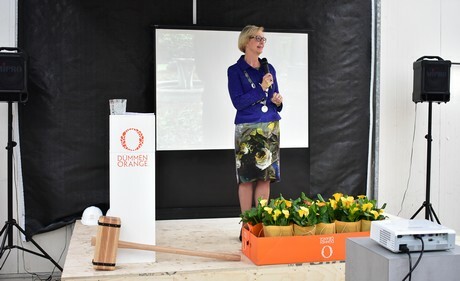 Agnes van Ardenne, mayor of Westland, was also present and explained that she grew up in this region, that horticulture is in her blood and that she is proud that the BTC will be built here. 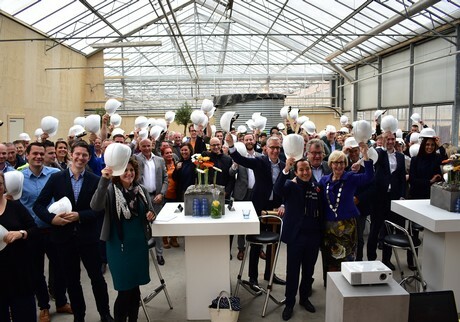 In addition to what the lab will offer for the floriculture sector, it can help keep young people in the region and even attract more, instead of younger generations moving to the city. 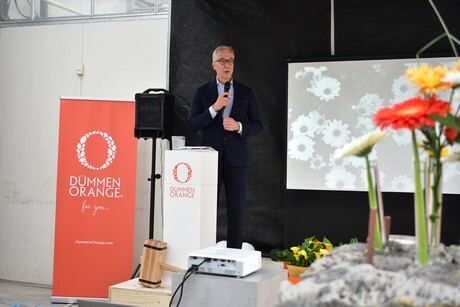 "Research has shown that youth is fascinated by the miracle of technology and the miracle of nature, and that comes together in the BTC of Dümmen Orange." 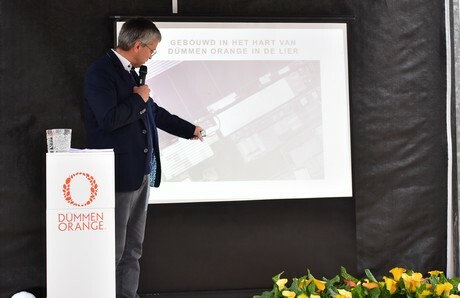 Hans van den Heuvel, Managing Director R & D, is pleased that the mayor was present at the ceremonial opening. "With this project we will embed high-quality technology in this region," he says. 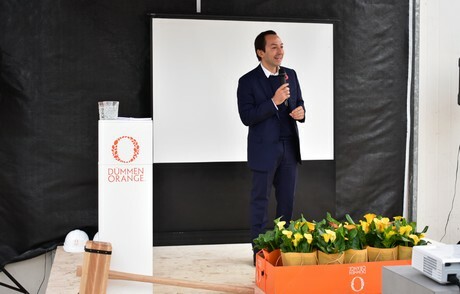 "The goal is to make Dümmen Orange a global leader", says Jean-Baptiste Wautier, Managing Partner of major shareholder BC Partners. "It may be a bit ambitious, but if we look at what we have achieved over the past three years, that is already very impressive. The construction of this new laboratory is a new milestone." Striking the first pile was done symbolically in three groups.